Chris Medlicott graduated from the University of Otago with a Bachelor of Laws degree in 1987 and became an Associate in another well known Dunedin law firm. He joined Judith Medlicott’s firm in 1995 and became a partner in 1999. Chris’s legal experience includes Commercial, Family, Immigration and Property Law as Well as Family Protection, Domestic Violence and International (Hague Convention) Custody cases. He also is a Court appointed Lawyer for Children. Judith Medlicott holds Master of Arts and Bachelor of Laws degrees from the University of Otago and has practised law since 1975. 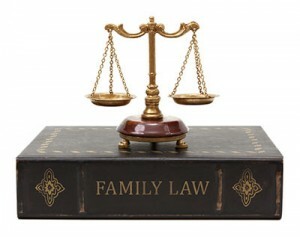 She now specialises in family issues, in particular Relationship Property disputes between former partners and Family Protection claims against deceased estates. Since the late seventies Judith has been appointed by the Court to represent hundreds of children in custody and welfare cases. Judith won the New Zealand Mastermind television contest in 1988 and served on the Board of Radio New Zealand from 1989 – 1993. She was elected to the Council of the University of Otago in 1985 and served as Chancellor from 1993 – 1998. She was awarded an Honorary Doctorate of Laws from the University and is a Companion of the New Zealand Order of Merit. She was an elected member of the Otago District Health Board from 2000 – 2010 and is a long serving trustee of Ashburn Psychiatric Care Centre.